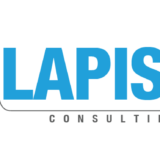 Lapisha Consulting is a legal business enterprise registered with the register of business and companies in Uganda. To operate business with emphasis in Technology, Brokerage and commission agency, digital marketing in all trade merchandise and properties. We are a privately held agency, consisting a creative, experienced and multi-talented team comprised of Engineers, Marketers, Researchers, Doctors, IT and Technology experts with over four years field practice and have amassed a lot of experience in their fields. We offer customer-oriented services and deliver creative and effective results at Lapisha Consulting. Our services are multi-dimensional; cutting across several sectors including but not limited to Health, Finance, Marketing, Education, Banking, Taxation, Research, Tourism only to mention a few. Our growth has been remarkably steadfast and we owe big thanks to our dear clients who have entrusted us with their business and projects. When you partner with Lapisha Consulting we consider it a serious bond. We work with you to establish an understanding of your business needs and goals. We lay out a plan of technical achievement to accomplish these goals with a passion for results to help our partners and clients in their quest for excellence.